Dental crowns and dental fillings are two of the most time-tested and important treatments in restorative dentistry. However, while they serve similar purposes, they are not used interchangeably. They are both used to restore health and function to teeth that have been structurally compromised, but otherwise are quite different. At Cosmetic Dentistry of New Mexico, we offer a comprehensive range of treatments designed to return the mouth to optimal oral health, including state-of-the-art dental crowns and tooth-colored dental fillings. Dr. Byron W. Wall discusses the issue of dental crowns vs. fillings during consultations at his Albuquerque, NM office so that patients understand the differences between these two options before being treated. Dr. Wall is a firm believer in the power of patient education. He believes that patients are more likely to become active participants in their own dental health if they understand as much as possible about the procedures that they undergo while under his care. If you would like further information about dental crowns vs. fillings, we invite you to read the following blog post and then schedule your initial consultation with Dr. Wall at Cosmetic Dentistry of New Mexico today. 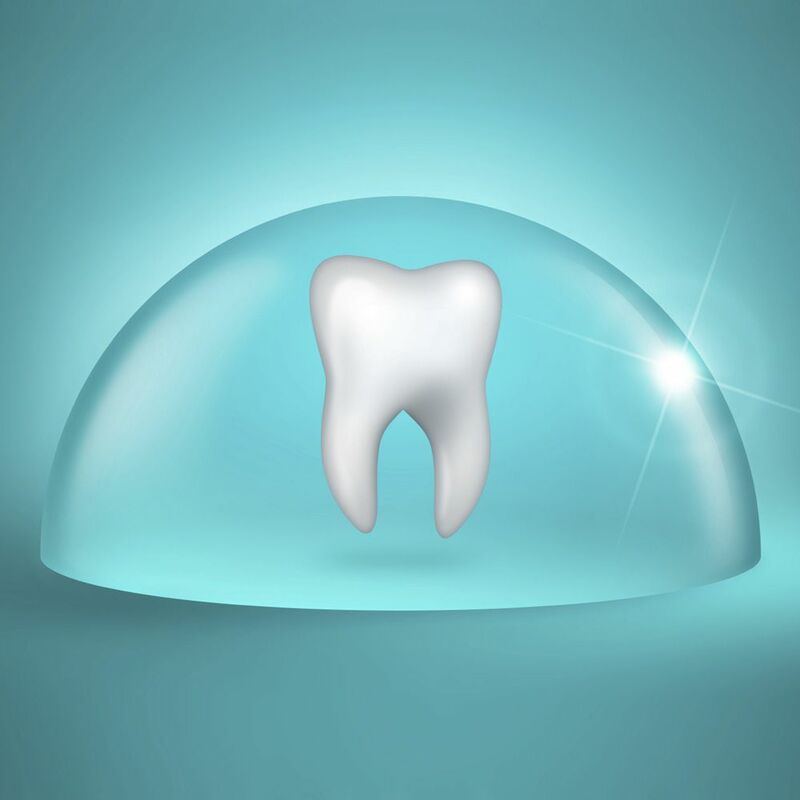 Protect a damaged tooth from further damage. Strengthen a weakened or cracked tooth. Conceal aesthetic flaws such as discoloration, cracks, and chips. Seal off a tooth after the removal of infected dental pulp during root canal surgery. Hold a dental filling in place when it is unlikely to remain in place otherwise. Add bulk to a tooth that is abnormally small. In order to accommodate a dental crown, Dr. Wall must first file down the natural tooth. He uses air abrasion technology in place of a traditional dental drill both to remove damaged tooth material and to file the natural tooth down prior to the placement of a dental crown. This creates an overall more pleasant experience for the patient. Unlike a dental crown, a dental filling does not replicate the entire visible surface area of a tooth. Rather, it replaces only the missing portion of a tooth that has been damaged by decay or trauma. Dental fillings are reserved for cases in which the damage to a tooth is relatively minor and contained to a small area. More moderate damage might call for a custom-crafted ceramic restoration (an inlay or an onlay), while more extensive damage would call for a dental crown. At Cosmetic Dentistry of New Mexico, we use a metal-free composite resin material to provide our patients with inconspicuous tooth-colored fillings. To learn more about dental crowns vs. fillings, please contact Cosmetic Dentistry of New Mexico today.